New Lusitania has a branch of the north nether hallway that leads to it’s own nether hub. 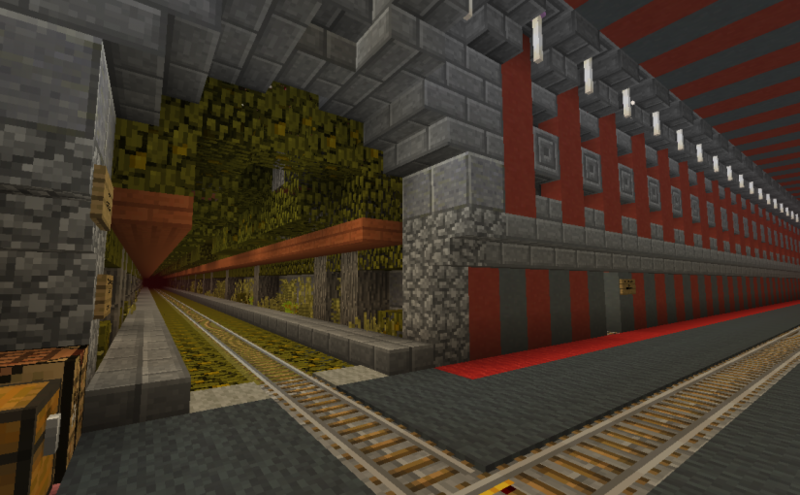 While the hub itself is a work in progress, the nether hallway has been completed and decorated. 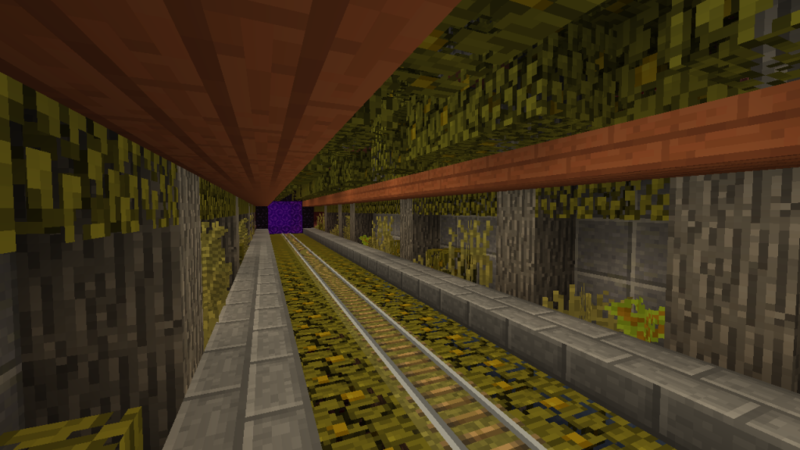 As with other nether transport there is a rail line, as well as a covered ice runway. The hallway is decorated using materials from New Lusitania: acacia wood, stone, leaves and grass. 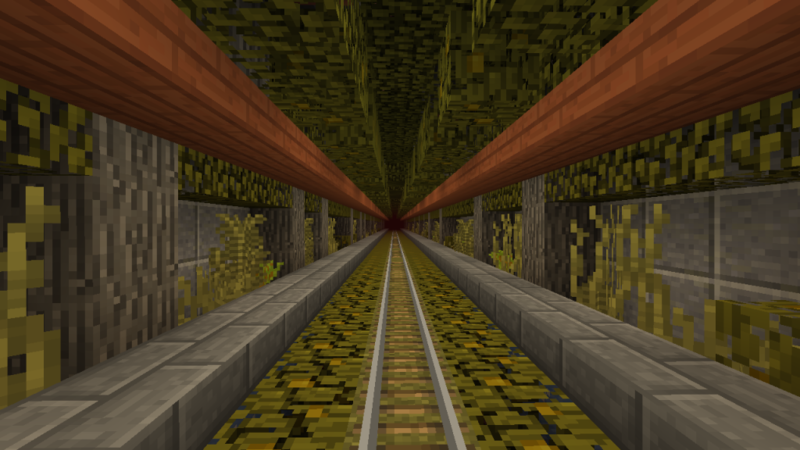 The trees along both sides are randomly spaced, and the ground is leaves along the track and covered with grass, ferns, and acacia saplings on the edges. Pigmen technically can spawn along the edge of the hallway, but the adults are trapped. 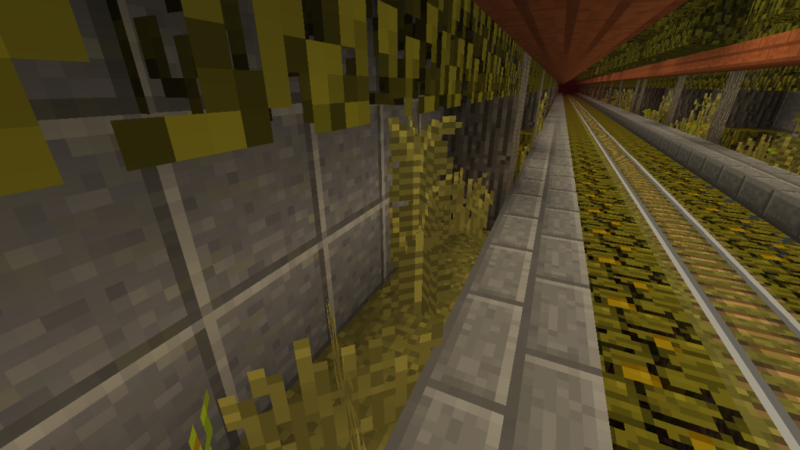 While building the hallway, the biggest threat nearby lava blocks starting the wood or leaves on fire. Rather than digging out a very large area around the hallway, leaves were placed along the route before actual construction began to detect the location of lava and take care of it before the full hallway was constructed and vulnerable. Lighting is taken care of with end rods above the trees. It is almost invisible, and, though filtered through the leaves, it keeps the hallway well lit.